Happy New Year! May this year be the one you, dear readers, would remember fondly for years to come. For FORCE, this time of the year implies renewal of our commitment towards India’s national security in its truest sense — going beyond the hype and addressing the importance of human security, whether it is in uniform or outside. This is also the time we take stock of the coming year in terms of our editorial. Every year, we endeavour to offer something new to our readers. This year will be the same. In 2019, we will diversify into multimedia. In addition to the printed word, which you access through FORCE print and online edition, we will put out video reports and editorials on the FORCE website. As always, your suggestions and feedback would be valuable. So keep those coming in. 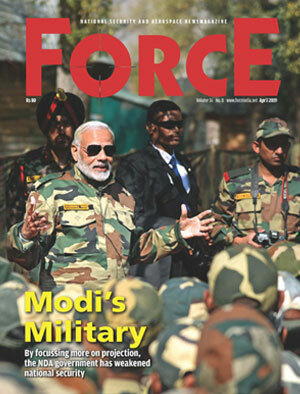 The current issue celebrates the Indian Army to mark the Army Day on January 15. We have taken a broad sweep of the issues pertaining to the land forces and land warfare, starting, with the recently released Land Warfare Doctrine of the Indian Army and the growing need of a Special Forces Command. The rapidly changing dynamics of future warfare demand that the government of India completely reorient its thinking about what kind of conflicts are likely to take place in the future; what will be their scope and what opportunities and challenges they pose to the Indian military, instead of attempting to learn from the mistakes of the past. The physical and intellectual changes wrought by technology in the last two decades have rendered all old concepts redundant. Hence, tweaking of earlier ideas will not work anymore. This is the reason that the FORCE cover story highlights how the new land warfare doctrine misses the woods for the trees, and by doing so, does a disservice to the force that is frequently stretched beyond the call of its duty. Hopefully, the FORCE lead story would inspire new thinking. We also look at various modernisation programmes, as well as bilateral exercises that the Indian Army participated in this year. There is an update on PLA’s main battle tanks and an exclusive report on Pakistan’s defence and aerospace show, IDEAS. The report yet again draws attention to the growing military cooperation between Pakistan and China, which would be of interest to our neighbourhood watchers. Then, of course, are our regular news updates and columns. Here’s to change and new beginnings! To 2019!